Taipei things to do - Taiwan Cooking Class! You’ve all heard that “Xiao Long Bao” is a must try in Taiwan and have possibly fallen in love with the taste already, now imagine you’ll be able to make it yourself! 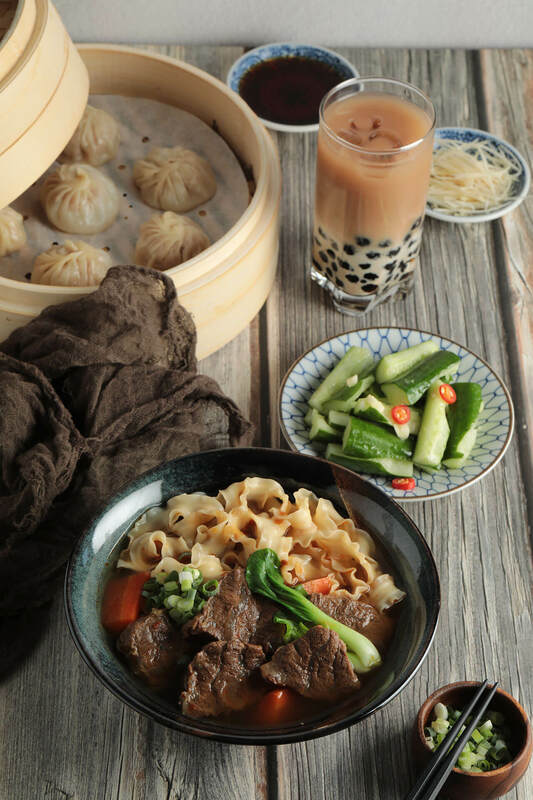 Our Taiwanese Xiao Long Bao & Noodles Class will show you the secrets to the juicy Soup Dumplings and the rich flavors of the Braised Beef Noodle Soup, as well as how to craft that blend of the Bubble Milk Tea you’ve become addicted to. This enjoyable and rewarding feast is CookInn Taiwan’s most popular experience. During the 3 1/2 hour class, you’ll be guided through the historic traditional Kuang Fu market to be fully immerse in the local vibe and meet the vendors who offer locally grown, seasonal goods. Once we return to the cozy CookInn classroom, the cooking fun begins! Be prepared to learn the 3 signature dishes: Xiao Long Bao, Braised Beef Noodle Soup, and Bubble Milk Tea from the chef, teaching you to make the tender skin of the soup dumplings from scratch and showing you how to shake up a perfect Bubble Milk Tea. © 2018 CookInn inc. All Rights Reserved.